All the Right Notes choir made its public debut at the Light Up Hassocks event on Friday 30th November 2012: click here for pictures. We then helped the Friends of St Wilfrid’s School in Burgess Hill (attended by some of the choir) with their Christmas Fair on Saturday 1st December. Click here for more pictures. Don’t forget we are at Rushfields Garden Centre this Wednesday evening, 5th December! All The Right Notes will be performing at various events to mark the start of the Christmas period. 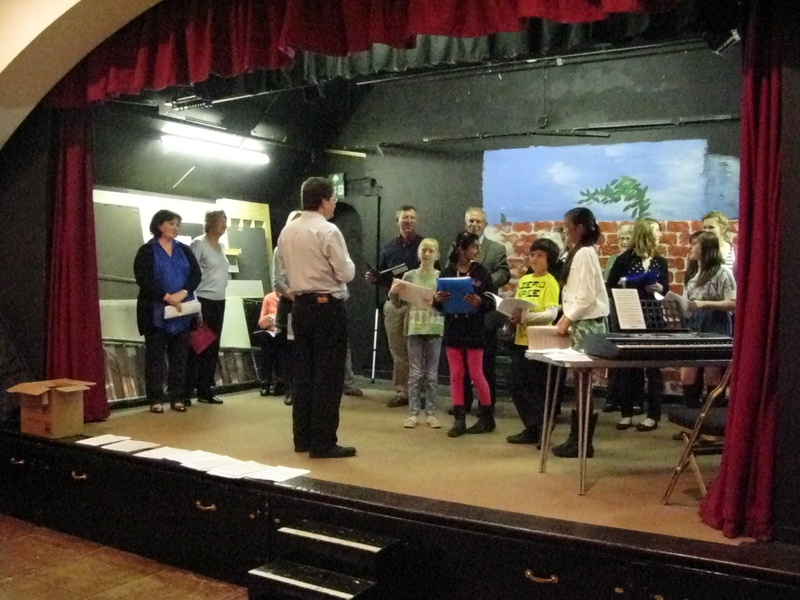 On Friday November 30th, we are one of the choirs celebrating Light Up Hassocks. Keymer Road is being closed for the festivities, and we will be singing outside Ripples at 6.30 p.m.
On Saturday December 1st, we have been invited to sing at the St Wilfrid’s Christmas Fair, at St Wilfrid’s School in School Close, Burgess Hill. The event runs from 4 to 6.30 and we will be singing at 4.30 and 5.15. On Wednesday December 5th we are singing at Rushfields Garden Centre from 7.45 p.m. Unfortunately the event on November 28th has been cancelled. This is the blog and website for All The Right Notes, the new singing group in Burgess Hill, West Sussex. We meet on Wednesday evenings during termtime at St Edward’s Church, Royal George Road, Burgess Hill from 7.45 – 9.15 p.m. Anyone aged 10 or over is welcome. You don’t need to be able to read music (although of course it helps) – enthusiasm is far more important! All The Right Notes Create a free website or blog at WordPress.com.